Testament to Union: Civil War Monuments in Washington, D.C.
Lamentations that special interests, by spending obscene amounts of money, were strangling the voice of "the people"? More lobbyists than Corinthian columns in the halls of Congress? These filled the press and the Capitol building in the 1870s. 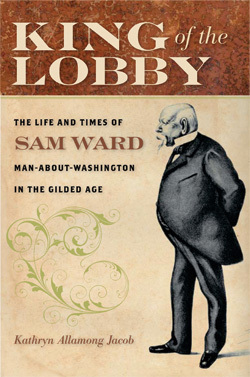 In an era when wave after wave of scandal uncovered congressmen who sold their votes and ruthless men who arrived in Washington with trunks full of cash with which to buy them, Sam Ward reigned unspotted as "King of the Lobby." Not only that, he transformed what it meant to lobby. Bribes of railroad stock weren't for him. "The King" traded in information exchanged at dinner parties, evenings that one guest gushed were "the climax of civilization." At his table the outlines of a new, modern lobby, a lobby easily recognizable today, took shape. 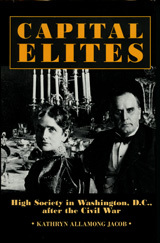 King of the Lobby is about power, politics, money, and lobbying in Washington in the Gilded Age. It is about delicious food, fine wines, and good conversation and how Sam Ward combined all three to create a new type of lobbying—social lobbying—and reigned as "Rex Vestiari" for a decade. Scion of an honorable old family, brother of unassailably upright Julia Ward Howe, best friend of Henry Wadsworth Longfellow, mathematician, linguist, California '49er, spendthrift who squandered several fortunes, Sam Ward was one of the most amazing men of an era crowded with larger-than-life personalities. The ring—a five-carat deep blue sapphire surrounded by 42 glittering diamonds—flashed each time Sam Ward gestured to emphasize a point, and he had many points to make. The ring's fire distracted the members of the House Ways and Means Committee trying to concentrate on this lively witness' testimony in January 1875. The congressmen did not want to miss a word of what Sam Ward had to say. Already within the first few minutes since he had begun, he had made them laugh so hard that the stenographer was obliged to insert "[laughter]" into the official transcript. This hearing was supposed to be a serious affair. The committee was investigating the latest scandal to rock the second Grant administration. The Pacific Mail Steamship Company had allegedly pried out of Congress a subsidy to carry the mail to China and the Orient only after greasing the skids (and several palms) with what the New York Tribune claimed was the extraordinary sum of one million dollars. Sam Ward's name turned up on a list of men who profited by the deal, and he had been summoned to appear before the committee to explain himself. 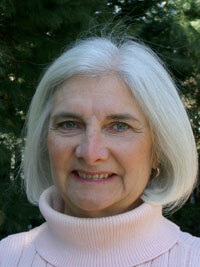 The witnesses who preceded him had stumbled and sweated through their stories. Not Sam Ward. Five-feet eight-inches tall, stocky, with a perfectly cut suit, the eye-popping sapphire ring, shiny bald head wreathed with a fringe of graying hair, flowing mustache and precisely trimmed Van Dyke beard, one reporter claimed he "fairly gleamed with good living" as he strode into the chamber with a self-assured air. His regal bearing was no accident and no surprise. Sam Ward was known to everyone in the room and far beyond Capitol Hill as "The King of the Lobby." 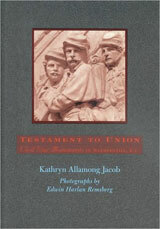 Jacob enthralls readers with anecdotes of Ward beguiling a skeptical press and demonstrating persuasiveness to members of Congress...a crisply written study, making excellent use of new sources and providing historical perspective through sprightly stories enlarging our understanding of the phenomenon of the lobbyist. Sure to please both serious researchers and general readers. "Jacob details how a swashbuckling scion of a wealthy New York family settled into his lobbying career in Washington, D.C.....and produces page-turning tales of ethically challenged reporters...[and] a new breed of lobbyist in Reconstruction-era Washington: the 'lobbyess.'"